At Vanille, we consider the opportunity to design your dream wedding cake a rare and privileged honor, understanding its place within the overall context of your wedding. With great respect for this tradition, we take extreme care to deliver a flawless wedding cake experience, managing every bit with great reverence and attention. 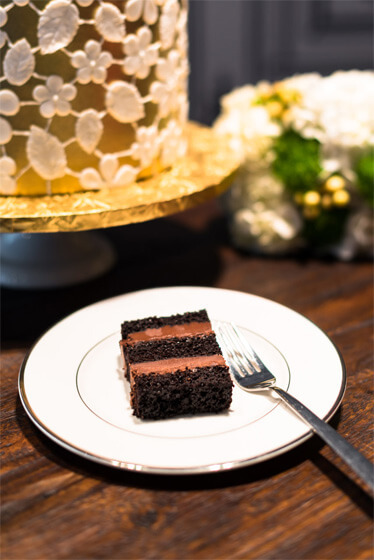 Drawing upon classic European technique and traditions fused with modern inspiration, each cake includes sophisticated artistry and is designed to stay true to your wedding vision. Whether the intention for your wedding cake design is timeless elegance, vintage charm, dramatic glitter or minimalist simplicity, our cake designers will build your dream cake from the ground up. To request a tasting click here.